Unemployment can become big and yet remain undetected. Its impact can lead to a critical vote swing. Is unemployment going to be the silent political killer in this election? This must be our first question, as we limp back from heightened national security anxiety towards other regular concerns in this first week after the formal announcement of the 17th Lok Sabha elections. Every available evidence points to this possibility. But as of now, it is just a possibility. Let us begin with objective data. The State of Working India, a report on jobs and joblessness released in November 2018 by Centre for Sustainable Employment at the Azim Premji University pretty much summarised the existing knowledge on this subject. We are shifting from a chronic but invisible and politically manageable problem of under-employment to an acute, felt and potentially explosive problem of open unemployment. The report estimated open unemployment to be upward of 5 per cent, but well over 15 per cent among the youth and the educated. This pure form of unemployment is in addition to precarious and underpaid employment, besides of course the old-style under-employment. Since then, two more pieces of evidence have been made available in the public domain. Despite the Narendra Modi government’s best effort to kill it, the National Sample Survey Organisation’s (NSSO) Periodic Labour Force Survey report got leaked and showed that in 2018 unemployment was at 6.1 per cent, the highest ever recorded since the organisation started measuring it in 1972. The report also confirmed that the situation had got much worse under the Modi regime. It indicated that the figure may have been much worse post-demonetisation and that women workers were the worst victims of joblessness. The latest report of reliable household surveys by the Centre for the Monitoring of Indian Economy (CMIE) estimates the unemployment rate to be 6.9 per cent. CMIE estimates that as many as 11 million jobs were lost between December 2017 and December 2018. These reliable data figures can be supplemented by umpteen ground reports and sectoral estimates. The all India Manufacturers’ Organisation (AIMO) has confirmed the loss of jobs. News reports, for instance this one on Coimbatore, have documented job crises in many sectors. Reports of obscenely large number of applicants for a few public sector jobs appear regularly. Thus, notwithstanding denials, doges, distractions and disingenuous use of data by the government, three facts are undeniable. One, we are in the midst of a severe job crisis. Two, the situation has got worse under the present regime. Three, some of the government’s hair-brained policies like demonetisation, hasty implementation of GST, etc., have contributed to this worsening. But politics is not about objective reality. The question is: do people sense and feel this crisis of joblessness? Going by a series of opinion polls in the last one year – all of these incidentally projected the BJP and Narendra Modi as the front-runner – the answer is an unambiguous yes. Every single public opinion poll over the last two years has discovered unemployment to be the top issue that the people are concerned about. The credible CSDS Mood of the Nation survey found in May 2018 that 26 per cent of the respondents spontaneously mentioned lack of jobs as the biggest problem in the country. This is nearly double of what comparable surveys by CSDS recorded earlier: just 8 per cent in 2014, 13 per cent in 2009 and 12 per cent in 1996. 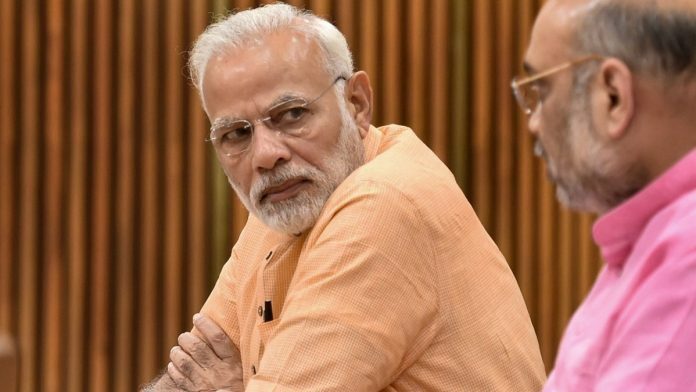 Even post Balakot, a telephonic national representative survey carried out by India Today found as many as 36 per cent respondents mentioned joblessness as the issue that would determine their vote, compared to 23 per cent who mentioned terrorism and 22 per cent who mentioned farm crisis. So, joblessness is an issue, not just for economists, but also for the people. Let us finally turn to Union minister Arun Jaitley’s question: If unemployment is so acute, why are the people not taking it to the streets? The simple answer is: They are. Scan the news carefully and you would find every day some protest or the other on an issue related to jobs. In the last one month, there was a protest in Patna by students of Magadh University against a delay in their exam results, by engineers in Pune against being debarred from applying for the category of Junior Engineer, by candidates selected for UP Police but denied an opportunity to join. Besides, how do you read massive agitations by Patidars in Gujarat, Marathas in Maharashtra, Kapus in Andhra and Jats in Haryana if not as movements triggered by job crisis? And there were smaller, but no less significant, national level protests organised under banners such as Young India Adhikar March and Yuva Halla Bol. Yet, unemployment does not enjoy as much visibility as farm distress nor does it generate partisan political battles as Rafale or other allegations of corruption do. Its victims experience it as a personal failure or misfortune, not as systemic injustice. They prefer private solutions over collective redress. Joblessness spawns myriad reactions and protests. But it does not lend itself to nation-wide mobilisation of its victims. There is no ready platform where to-be-unemployed students, unemployed aspirants for jobs, poorly employed contract workers and unemployable youth can come together. There is as yet no clear positive agenda that most groups and organisations protesting against joblessness subscribe to. That is why unemployment is at once the most salient and the most silent political issue. The BJP can take comfort from the silence around this issue. Modi’s election strategy banks on the fact that this is not going to become an operational issue that could make or mar elections. But in its silence lies the danger. Quietly, this issue can become big and yet remain undetected. It would just take one event, one imaginative leader or one catchy promise to catapult this issue to the centre-stage. Its impact can could catch the ruling party off-guard and lead to critical swing of votes and massive swing in political fortunes. That is what they call a silent killer. Vote for communist party and get unemployment salary 1.5 lac per month, free housing, food, healthcare, personal transportation, tv, fridge, laptop, smartphone, vacation. we are in the midst of a an unemployment problem-Yes, to certain extent. That- to say that it got worse under the present regime- is a hoax and politically motivated statement. The government’s policies like demonetisation, GST, etc., have contributed to this worsening is also a politically mocking. Modi is aware of other problems which are unresolved. Modi certainly feels concerned. Modi is surely capable of coming-up with plausible solutions. Other than Modi as of now in India we do not have an alternate capable leader. Modi is not done yet. Modi’s first tenure is eventful and reasonably successful. Modi is the right leader who can be trusted to deliver more. Yogedra Yadav can be more reasonable and avoid camouflaging and avoid Modi bashing. Jai Hind! The media has become a giant sunscreen, keeping out a lot of harmful ultraviolet radiation. Even those of us who are reasonably well informed do not quite sense what the national mood is. Intuition suggests it could not be joyous, filled with the sort of contentment that locks in a second term. What role / proportion unemployment, agrarian distress, other important issues will play, one cannot be certain. Itna zaroor hai, the electorate will not prove to be the laudatory captive audience one sees in the India Today Conclave, clapping on cue. Even in so exquisitely choreographed an event and with so supportive an anchor as Rahul Kanwal, the mask slips a little.